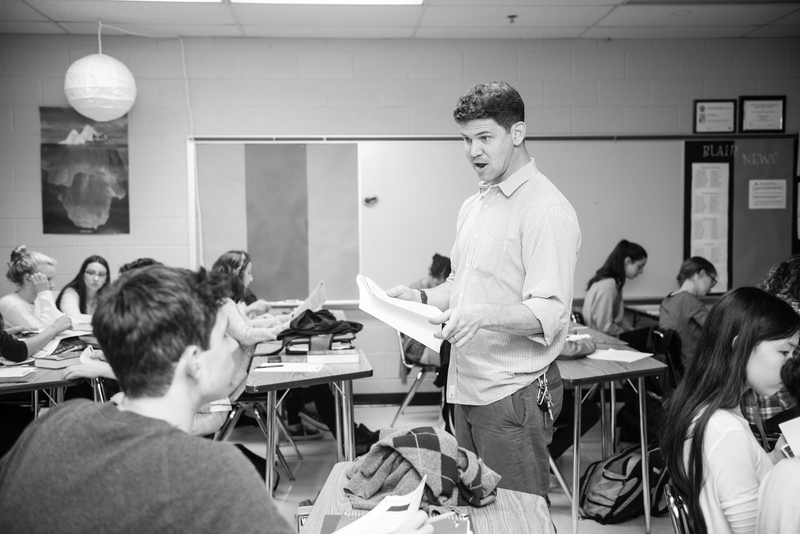 The retelling and analysis of history and the social sciences connects students with the past and one another to each other by providing a common language that recognizes difference and subtlety. It is the teacher's duty to help mend those differences and subtleties with in the perpetual patchwork of the human story. It is my hope that my students come away not only with strong analytical, reading and writing skills, but also a strong sense of self-worth and identity. These traits are critical if we are to foster a culture of responsibility and nourish young people's sense of investment in their community and the world around them. These goals are achievable when students are provided a fair and conducive learning atmosphere free of intimidation that promotes inclusion and stimulates the open exchange of ideas. I strive to create a learning environment where kids learn from the textbook and mini-lectures as well as through dance, debate, cooperative projects, art and performance. Mr. Grossman is the owner of a local organic farm which recently won the Washington Gardener Silver Spring Tomato Tasting contest.